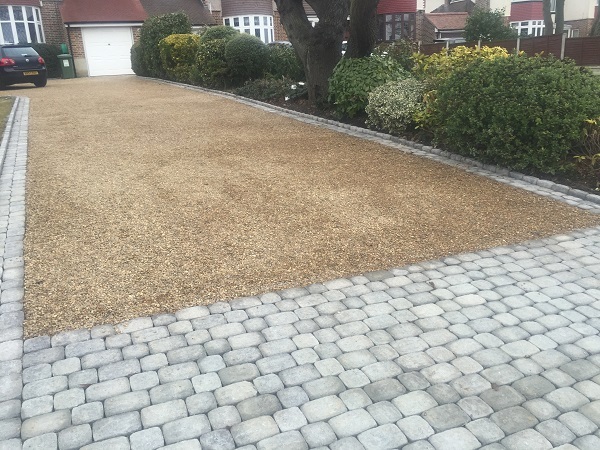 Woodland Paving lay Gravel Driveways in Essex including Hornchurch, Upminster and other areas in south west Essex. 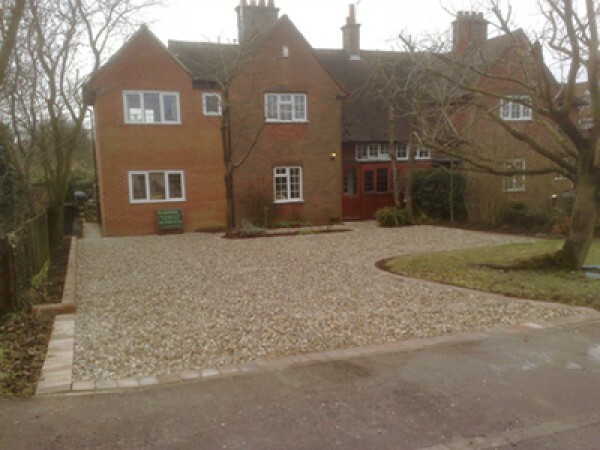 There is an ever-expanding menu of aggregates that can be used for these type of driveways. One of the most frequent questions is “what size of gravel should I use?”. Generally, sizes are from 6-20mm – anything smaller is too easily disturbed. Anything over 20mm can be hard to walk on. 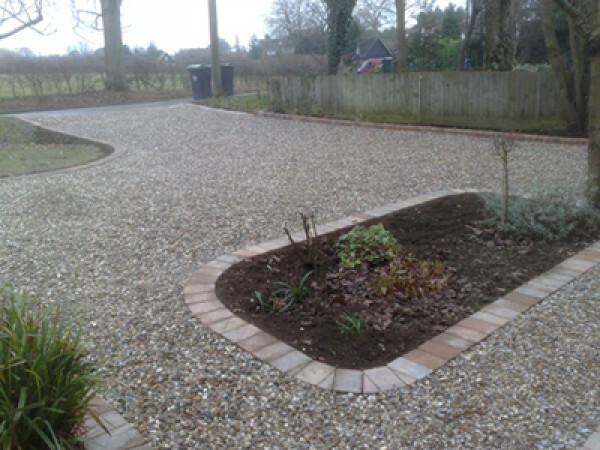 In general, 6-10mm gravel would be used for pathways and 10-20mm for driveways but it is a personal choice. For gravel drives, we dig to 135 or 180mm for heavier vehicles. 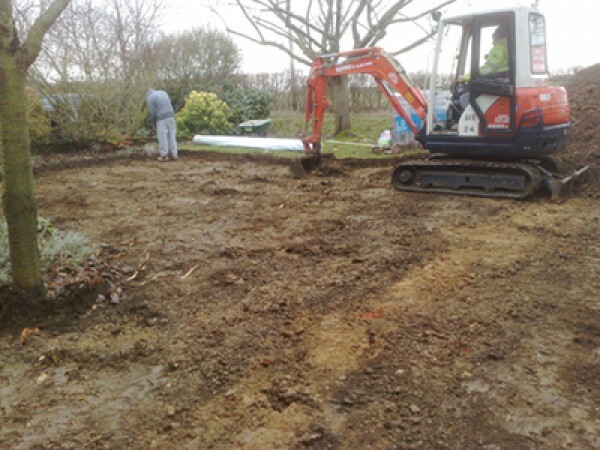 Once dug, we will remove all weeds and other unwanted organic matter. The sub-grade will be doused with a general weed killer such as sodium chlorate and then a permeable membrane will be laid on top of the sub-grade. 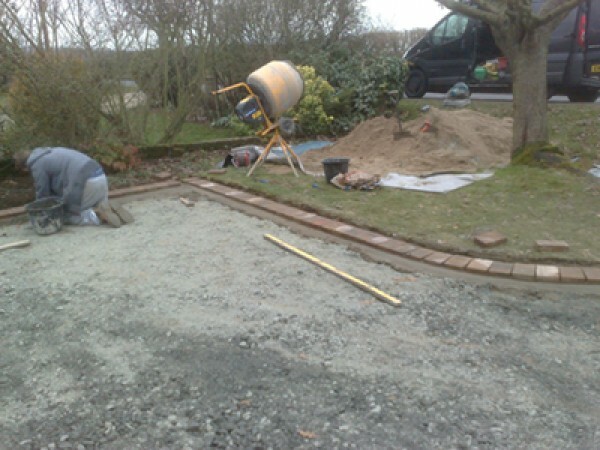 We then put on edging restraint in if needed as the gravel can become mixed very easily with the surrounding soil or lawn. 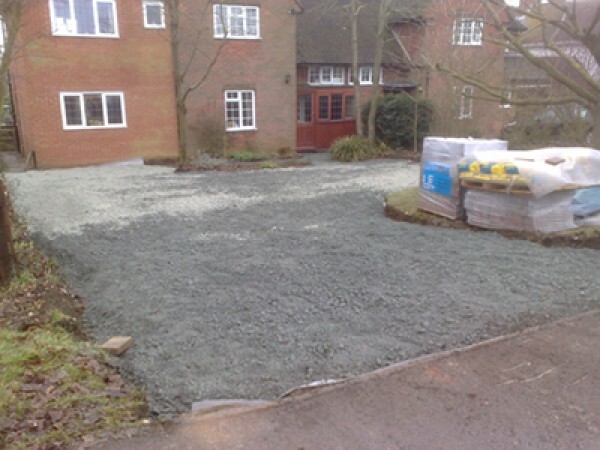 100mm of Ministry of Transport type 1 is then put in and compacted or 150mm on a heavy vehicles driveway. 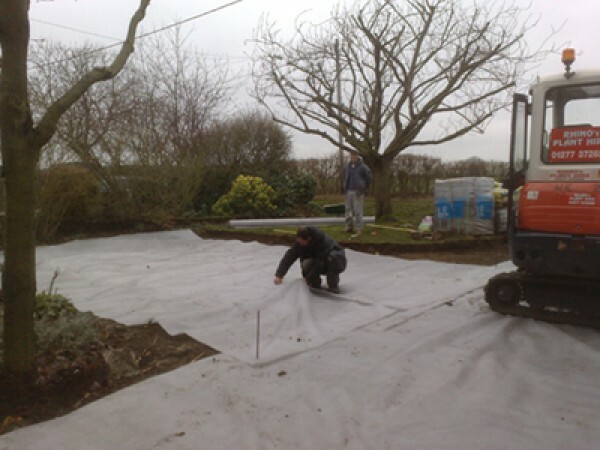 Then gravel is laid to 25-40mm thickness. The first thin layer is compacted into the type 1 to prevent the sub base becoming exposed. 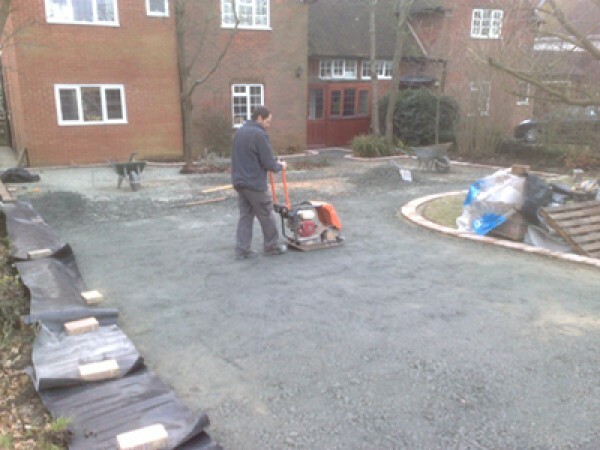 “We do not normally make recommendations however Woodland Paving is an exception. We had a gravel drive done and were so impressed we had a patio and decking in the back garden. Colin kept us well informed from beginning to end. I have had many comments from neighbours and people walking past about how hard they worked and how great our drive looks. Colin and his team are reliable, trustworthy and it is so obvious they take a pride in their work. A pleasure to have working at our home”. “We had no worries about letting them have access when no-one was here. We highly recommend them and will certainly use them in the future for any other projects that may arise. From the moment Colin came round to give us a quote, we had a feeling we had made the right decision and we were certainly right”. Susan Leigh, Enfield. See MORE REVIEWS from our customers. 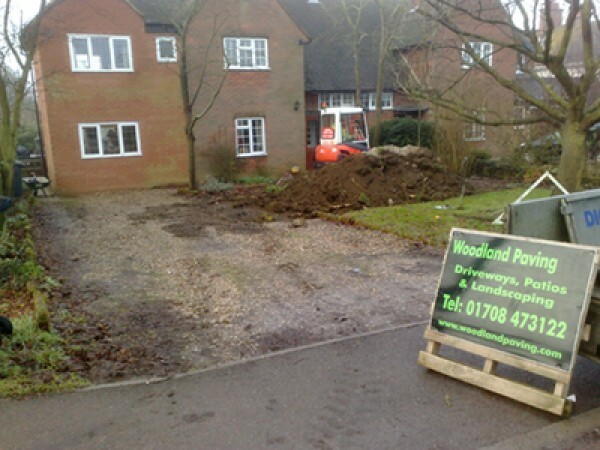 Woodland Paving for the best in Gravel Driveways in Essex.